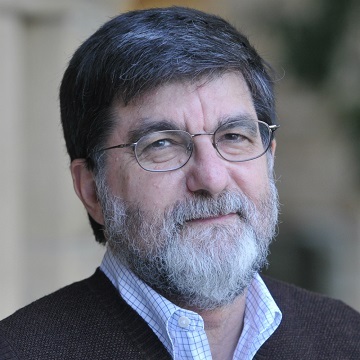 Bob Carlin is a Visiting Scholar at CISAC. From both in and out of government, he has been following North Korea since 1974 and has made 25 trips there. He recently co-authored a lengthy paper to be published by the London International Institute of Strategic Studies, entitled "Politics, Economics and Security: Implications of North Korean Reform." Carlin served as senior policy advisor at the Korean Peninsula Energy Development Organization (KEDO) from 2002-2006, leading numerous delegations to the North for talks and observing developments in-country during the long trips that entailed. From 1989-2002, he was chief of the Northeast Asia Division in the Bureau of Intelligence and Research, U.S. Department of State. During much of that period, he also served as Senior Policy Advisor to the Special Ambassador for talks with North Korea, and took part in all phases of US-DPRK negotiations from 1992-2000. From 1971-1989, Carlin was an analyst at the Central Intelligence Agency, where he received the Exceptional Analyst Award from the Director of Central Intelligence. Carlin received his AM in East Asian regional studies from Harvard University in 1971 and his BA in political science from Claremont Men's College.